It was the summer of 2013, the cars whistled by in the 7th arrondissement of Paris, the Eiffel tower dominated the skyline like an old friend whose roots seemed to extend well below the city. I sat in this little pastry shop immune to the hustle and bustle all around me, loosely wrapped in my summer dress I had forgotten all my responsibilities at home as I spiritedly embraced the summer warmth that beamed all around me. It’s incredible how the mind works and how it can be so profoundly influenced by smell and how that can affect the body. Some smells serve to ignite small parts of the brain’s memory and other fragrances work subconsciously to heal and that’s truly why I enjoy using essential oils. If you ever visited my home you would be privy to a variety of Saje essential oils. 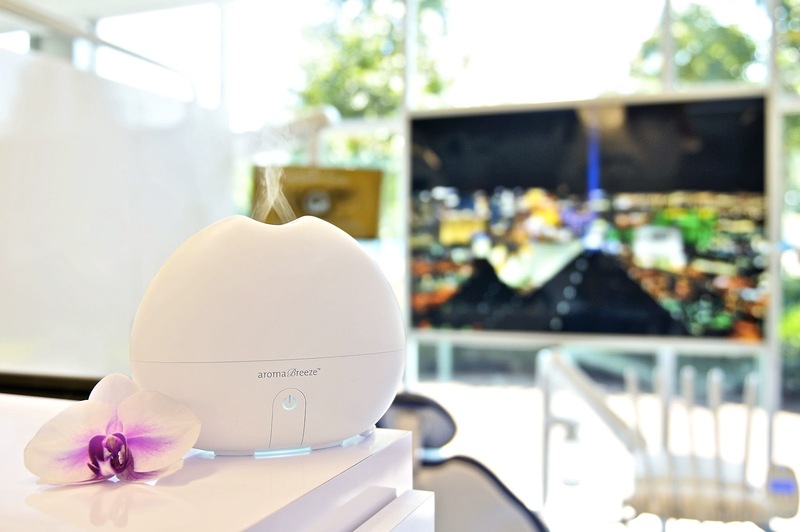 When deciding how to introduce healing scents into our office I knew they had to serve a purpose and be of benefit to our patients, if even at just that subconscious level. Currently you’ll find a specially selected oil helping you relax when you enter, Liquid Sunshine, hinted with citrus fruits of grapefruit, orange, lime, mandarin and a highlight of bergamot. I think it’s easy to see why we would choose this oil for the office, we’re all keenly aware that for some stress and anxiety can be associated with a dental office and we wanted to make sure that this was a place where people could relax while benefitting from treatment at the same time.